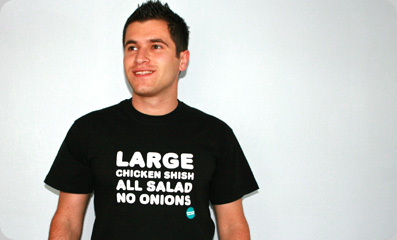 The most classic kebab shop orders have now been printed on your tees. No need to waste those vital minutes trying to explain your order, just point to the tshirt and you're sorted. Your takeaway experience could not be made any easier.